What is the AFTER Project? Between 2016 and 2018 ActionAid worked on a project in Ireland called the AFTER (Against Female Genital Mutilation / Cutting Through Empowerment and Rejection) project. Cork city and county were selected as the target area for the implementation of the project in Ireland. While it has a large migrant population, services for women and girls who have undergone or are vulnerable to FGM/C that are available in Dublin are not widely available in Cork. The AFTER project was supported by the Rights, Equality and Citizenship (REC) programme of the European Union to work with migrant women and girls from FGM/C practicing countries. The project was implemented across five European countries (Belgium, Ireland, Italy, Spain and Sweden) by six partners. ActionAid Ireland led the AFTER project in Ireland and collaborated with AkiDwA to reach wider communities and share experiences. Research and analysis of the situation at national level in Ireland and in the other different European Union countries in which the project took place, the dissemination of an information sheet in several African and European languages to inform migrant women and girls on the services available in the territory to protect their sexual and reproductive rights. Based on Central Statistics Office 2011 data, 2,639 girls may currently be at risk; this number is expected to rise with the results of the 2016 national census. It is estimated that 3,780 women have already experienced FGM/C (before coming to live in Ireland). The service providers interviewed in Cork deliver services on women’s health and domestic violence or provide information and support specifically to migrants; however, they all pointed that they have limited resources and no information or budget to work on FGM/C. Less than 1 in 5 of interviewees were aware that FGM/C is illegal in Ireland. Less than 30% of the participants had received some training on FGM/C as part of general trainings on reducing violence against women. 24 training workshops were dedicated to migrant girls and women to raise awareness of their rights to physical integrity and control over their own body. 12 training workshops targeted men. In Cork, the project used methodologies, such as the REFLECT method, that have worked at reducing FGM/C in other countries, facilitating open dialogue within local communities about the practice. ActionAid facilitated meetings that encouraged sharing experiences, opinions about women’s rights issues in general, so that women, girls and men could challenge norms and beliefs at a local level. REFLECT – ACTION is a participatory training methodology developed by ActionAid and used successfully for many years to train communities in developing countries. The approach has been used by over 500 organisations in 70 different countries, all reporting positive results in the fight against female genital mutilation/cutting. The approach was adapted for application in Ireland and used to train the community during the Empowerment Paths. Raised awareness to local, national and European institutions on the dangers of female genital mutilation/ cutting for migrant girls and women and how to avoid it. Awareness activities were organised through testimonies of African experts who are active in the fight against female genital mutilation/cutting in their countries. See section on Champions for Change below. A documentary- “Girls from Earth” was produced and 10 video testimonies of religious leaders, women and African activists against female genital mutilation/cutting. An international conference was held in Toledo, Spain in February 2018 to present the results and methodologies developed in the project to combat these practices. A briefing event for MEPs was held in Brussels. ActionAid raised awareness among the wider community through film screenings and other local events. As part of the project ActionAid Ireland hosted Testimony Tours late in 2017. Colleagues from the project’s African partners, including local religious leaders, ex-circumcisers, local decision makers and girls and women who have been involved in reducing FGM/C in their communities. Champions for Change include policy and decision makers, influential people in the community (religious leaders and community leaders), as well as ‘Youths Against FGM’ and ‘Citizens Against FGM’ who having participated in or experienced AFTER, have committed to advocate and speak out against Female Genital Mutilation/Cutting (FGM/C). The Champions received training on advocacy strategies to increase their voice and influence on the government’s commitment to end FGM/C. Passionate about the rights of women and girls. Willing to support women and girls who are victims/survivors of FGM/C. Ready (and available) for training on various advocacy strategies to develop their leadership skills, communication etc by a global network of experts and advocacy advisors. Ready to speak against the practice of FGM/C. Are you interested in becoming a Champion for Change? Please contact sally.bourne@actionaid.org to learn more about joining this Network. Based on learning and participant feedback from the AFTER project, ActionAid Ireland is very keen to realise a further phase of the project to take a comprehensive approach to rejecting FGM/C and supporting survivors. Serious implications result for the sexual/reproductive health and psychology of women and girls who are subjected to FGM/C. Sexual and reproductive as well as health complications may occur when a/woman/girl is undergoing the procedure; some of these difficulties can even cause death. FGM/C may also have lasting psychological effects on women and girls. What ActionAid Ireland achieved through the AFTER project has been a constructive lesson that this traumatic procedure can be rejected and eventually it can be eradicated using tools to raise awareness and by changing behaviours. 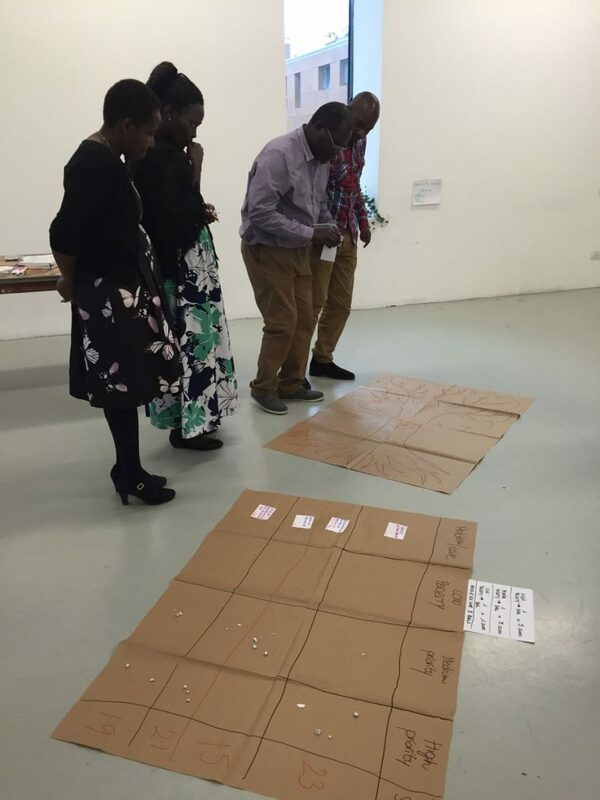 The AFTER project is replicable in other centres and with other groups, and in 2018 ActionAid Ireland is actively seeking funding to impart and oversee the roll-out of ActionAid training methods such as Reflect-Action in AFTER phase 2.